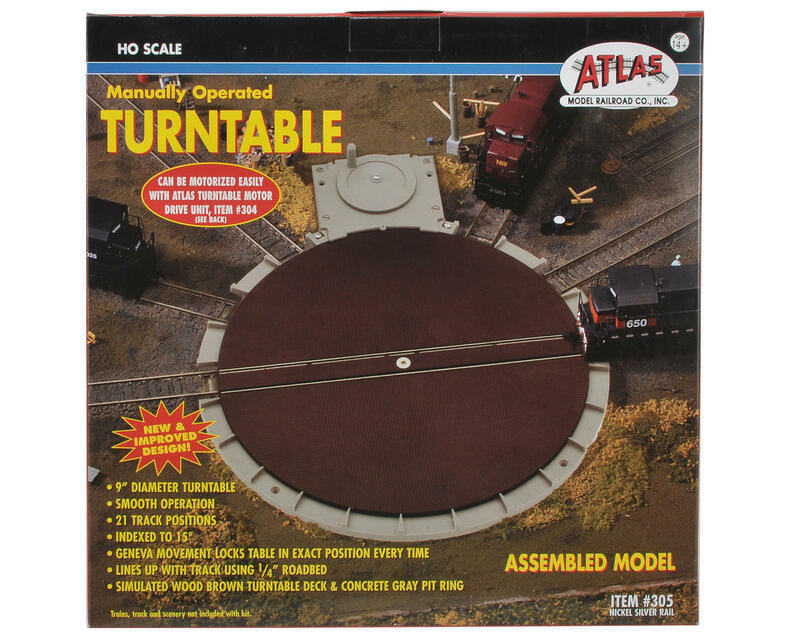 This is the Atlas Model Railroad HO-Scale Manual Turntable. 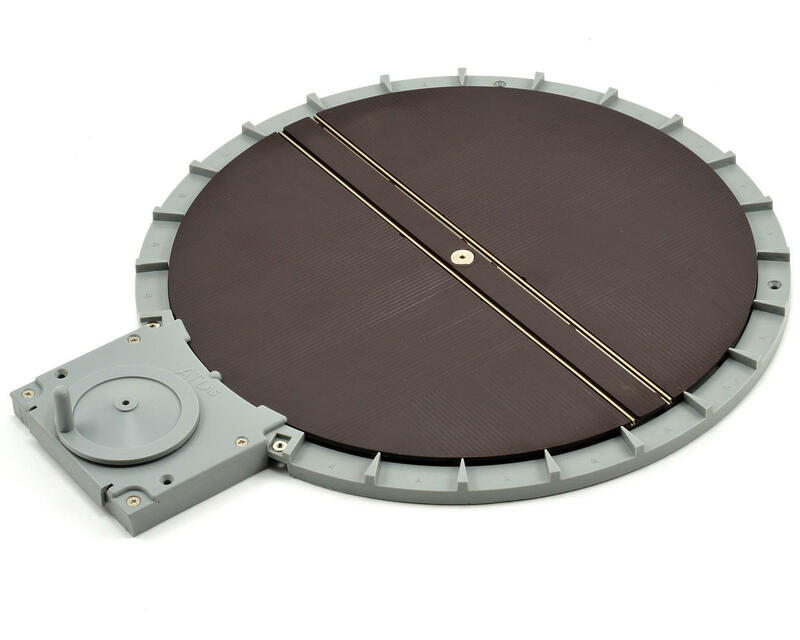 This fully assembled, 9" diameter turntable has the ability to stop at 21 positions, 15 degrees apart, with geneva movement that locks table in the exact position every time. Features a simulated wood turntable deck, concrete pit ring and manual crank operation. This unit can be easily motorized for remote control operation with the Turntable Motor Drive Unit (ATL304). Additionally, the surface mount design allows installation with no cutting necessary. This is the perfect addition to the Atlas HO Roundhouse (ATL709)!